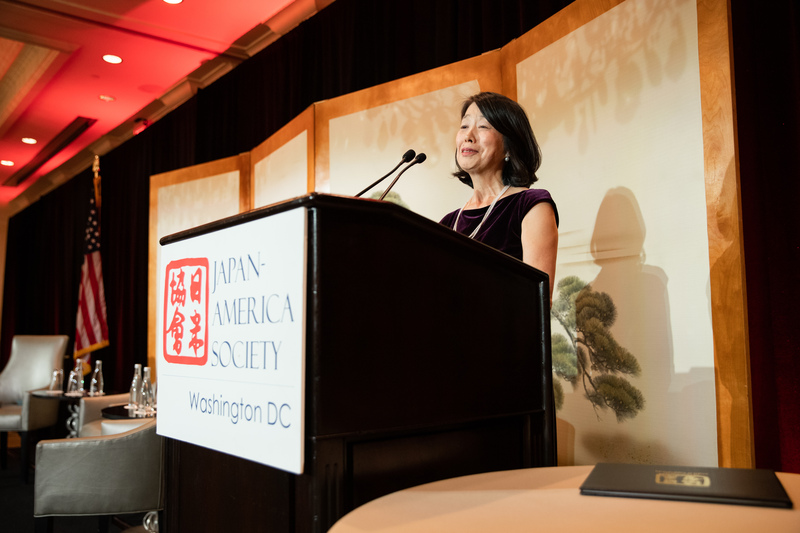 The Japan-America Society of Washington DC: 32nd Annual Dinner – The Japan-America Society of Washington, Inc.
On November 13th, 2018, the Japan-America Society of Washington DC was proud to celebrate their 32nd Annual Dinner and Silent Auction at the Fairmont Washington, D.C., Georgetown. 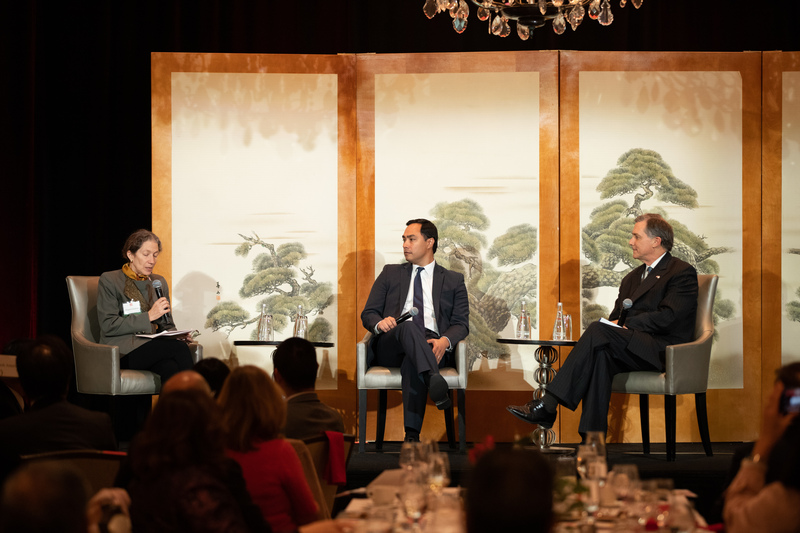 With approximately 250 guests in attendance, many being esteemed representatives of government, cultural organizations and companies whose efforts contribute greatly to many of JASWDC’s programming, this year’s dinner was a wonderful celebration of the strides made this year to continue the long lasting legacy of U.S.-Japan friendship. 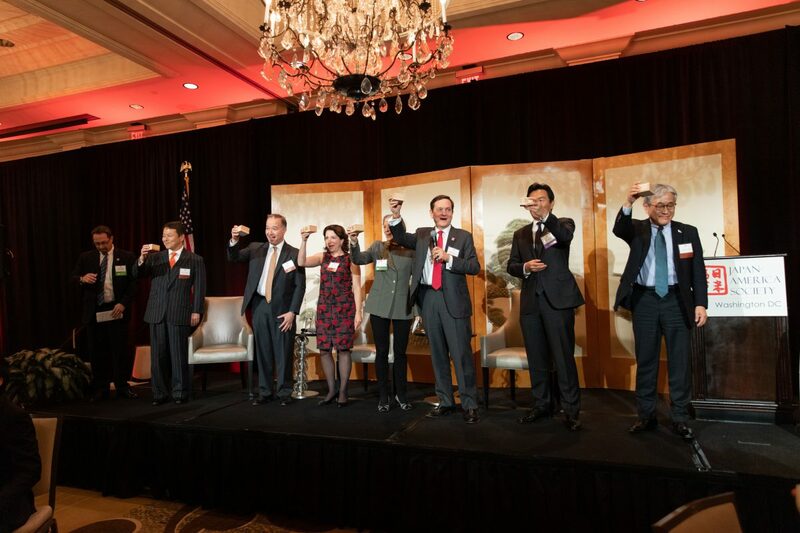 Traditionally, the Annual Dinner and Silent Auction are a primary source of support for the Japan-America Society’s many educational and cultural activities, which introduce Japan and Japanese culture to the residents of the Nation’s Capital Region. Over the years, the Annual Dinner has welcomed and honored some of America’s and Japan’s most distinguished leaders. 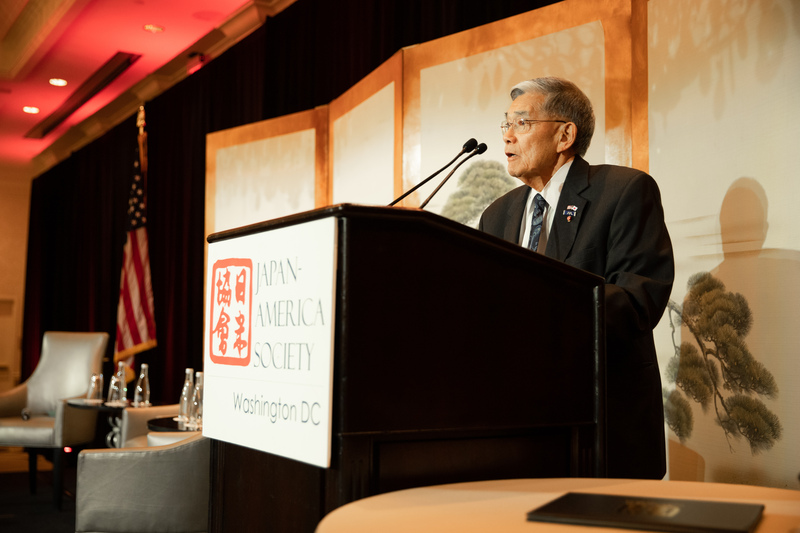 This year, the program began with opening remarks from Japan-America Society of Washington DC Chairman Matthew P. Goodman followed by cheerful welcoming toast from Governor Terence R. McAuliffe. Guests were then extended a special greeting from the Ambassador of Japan to the United States, H.E. Shinsuke J. Sugiyama followed by the presentation of this year’s Marshall Green Award recipients, Secretary Norman Y. Mineta and Mrs. Nobuko Sasae, by JASWDC Chairman Matthew P. Goodman and Vice Chairman Go Eguchi. The Marshall Green Award was established by the Society in 2011 to recognize individuals or groups who have made a sustained and significant contribution to strengthening relations between the United States and Japan, and to increasing understanding between the American and Japanese people. The crowd was finally treated to a riveting panel discussion, U.S.-Japan Relations in a Time of Uncertainty which featured panelists, Congressman Joaquin Castro (Member, U.S. House of Representatives, Texas – 20th Congressional District), Congressman French Hill (Member, U.S. House of Representatives, Arkansas – 2nd Congressional District) and was moderated by JASWDC Interim President Abigail Friedman. The dinner closed with a celebratory kampai, or toast and a final thank you and remarks given by JASWDC Executive Director Marc Hitzig. As always, the Society is forever grateful to its many valued supporters and sponsors, many of whom are members of long-standing, respected institutions across several industries in the Washington, D.C. area – from think tanks to government to corporations. 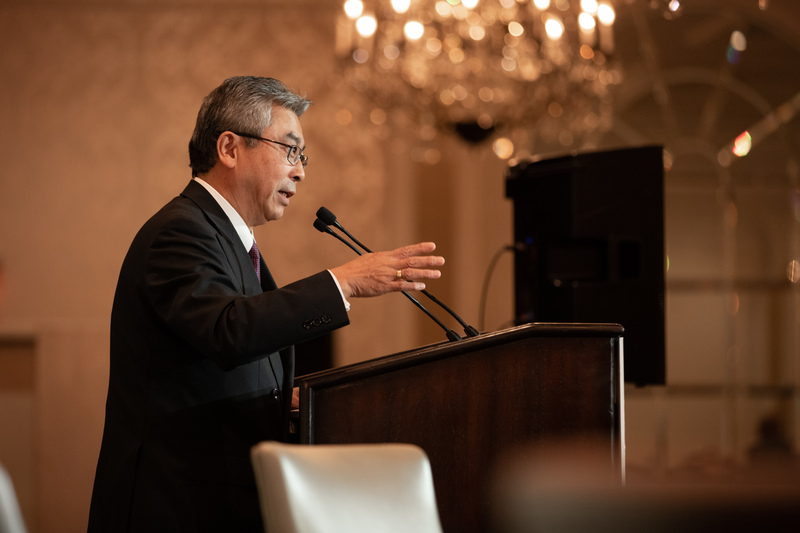 Because of these contributions, we are confident that we can continue to sustain the U.S.-Japan relationship with an array of programs, events, and classes.